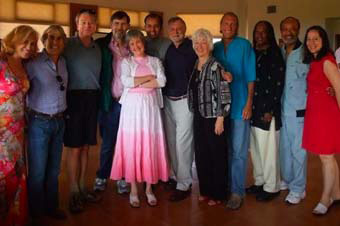 In December 2006 and June 2007 the Source of Synergy Foundation and the Chopra Foundation hosted retreats at the Chopra Center in New York for leaders of coalitions, organizations and networks that wished to collectively create momentum for a new emerging consciousness so that together they could be a greater force for transformation. The vision for a West Coast retreat came out of this effort. 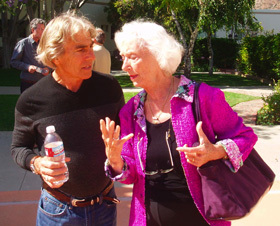 Thirty-eight evolutionary leaders in the movement of awakening consciousness gathered at the Chopra Center in Carlsbad, CA on July 26, 2008 to explore together how to work from a unified field. They were from a variety of fields, including scientists, business experts, social entrepreneurs, spiritual leaders, journalists, and educators. All participants had experienced success in their individual efforts and several were renowned authors and teachers who had touched millions of lives. Would it be possible for them to empower the movement by means of a collective intention? The retreat, envisioned as an intimate gathering of leaders who had made real breakthroughs in the evolution of human consciousness, was convened by Deepak Chopra, President of the Chopra Foundation, Diane Williams, President of the Source of Synergy Foundation, and Barbara Fields, Executive Director of The Association for Global New Thought. 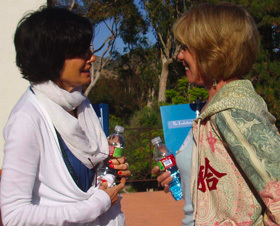 The success of the first retreat led to the 2009 Evolutionary Leaders retreat in Malibu, California with 44 cutting-edge visionaries who explored what insights, group intentions and actions might arise out of their desire to create a deeper impact on conscious evolution as a collective. Exciting visions emerged, taking shape into projects that will give you the opportunity to participate in co-creating our future in live and virtual events. 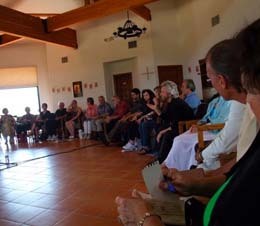 Thirty-seven Evolutionary Leaders: In Service to Conscious Evolution gathered for three days of retreat in the fall of 2011. The purpose of the retreat, according to our recently drafted Mission Statement, was “to come into communal relationship with one another, deepening our collective consciousness and strengthening our mutual intention, thus setting the foundation for the emergence of the next steps of our evolutionary journey.” The experience was a rich blend of the joy of a family reunion laced with the excitement of sharing our work and our vision. 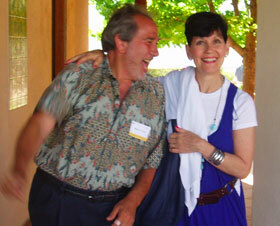 The Evolutionary Leaders held a special retreat in 2013 to address the topic of "Humanity at the Tipping Point: Evolutionary Responses to Global Challenges." Their deliberations were held in the context of understanding that the human race is in a time that can be called "The Great Transition." Ashland, Oregon is a charming town just north of Mt. Shasta, famous for its annual Shakespeare Festival – and home to five members of the Evolutionary Leaders circle: Jean Houston, Neale Donald Walsch, and new members Gary Zukav, Linda Francis and Connie Buffalo. This was the site of the 2014 Evolutionary Leaders retreat from June 20-23 at the lovely Lithia Springs Resort. The theme was “Saving Tomorrow: Crossing the Threshold Into a New Time.” Neale Donald Walsch spoke of preserving the potential for the evolutionary process in which humanity is engaged so that it can continue to express itself into the lives of our children and children’s children. Thirty members of the circle engaged in a wide range of activities, including updates on individual work, meditations, deep sharing, and processes led by Lynnaea Lumbard and Terry Patten, Barbara Marx Hubbard and Stephen Dinan, Ocean Robbins and Sage Lavine, Jean Houston, Tim Kelley, and our wonderful facilitator, Daniel Stone. Connie Buffalo and Oscar Miro-Quesada led a beautiful North-South indigenous solstice ceremony on June 21st and a closing water ceremony. By the final day, the coherence in the room was palpable, with everyone in deep appreciation of one another’s gifts and presence. Our gathering had deepened our friendships, given us greater understanding of each one’s role in the evolution of human consciousness, and brought us into the heightened communion of our natural synergy. 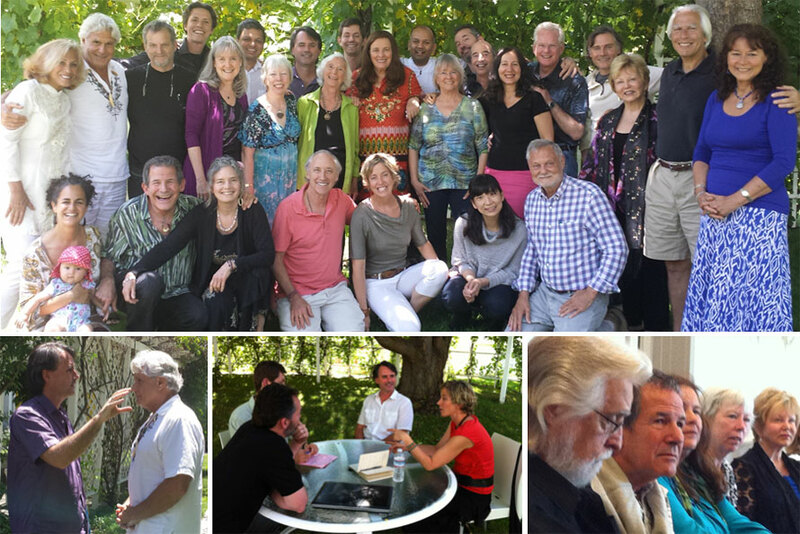 The 2015 Evolutionary Leaders retreat will be held at the end of June in Calistoga. It will be followed by a multigenerational event in Oakland on July 2nd.